The Spring has finally come here and I couldn't be happier about it! I'm really looking forward to shoot a special outfit this weekend, so if everything goes as planned, you know what to expect. Today was such a nice warm day, and that got me feeling extra inspired. 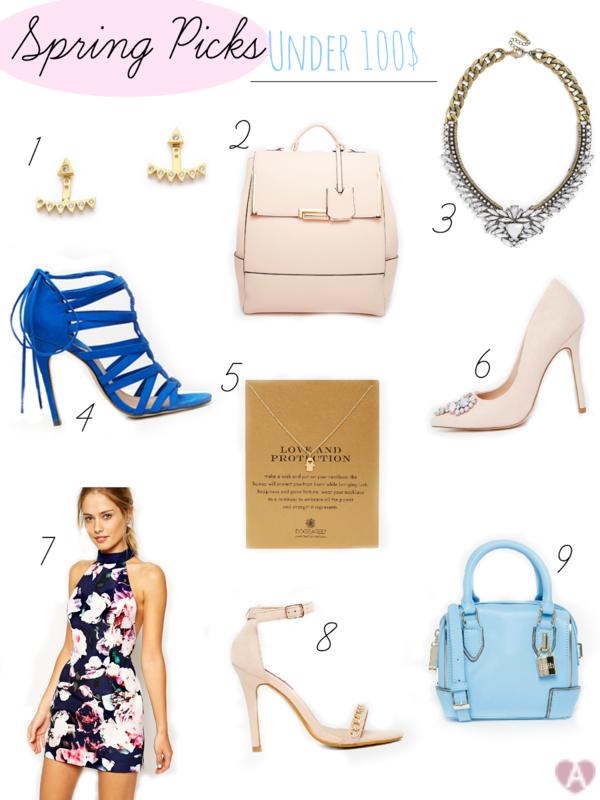 I've decided it'd be nice to share with you some of my fashion picks for spring, from statement jewelry pieces to patterned rompers (Did you know I'm obsessed with rompers?). Oh, and everything is under 100$, so it won't break the bank. P.S. Shopbop is currently having 25% off everything! Those blue heels are gorgeous ! So pretty! The pink saldals are amazing!